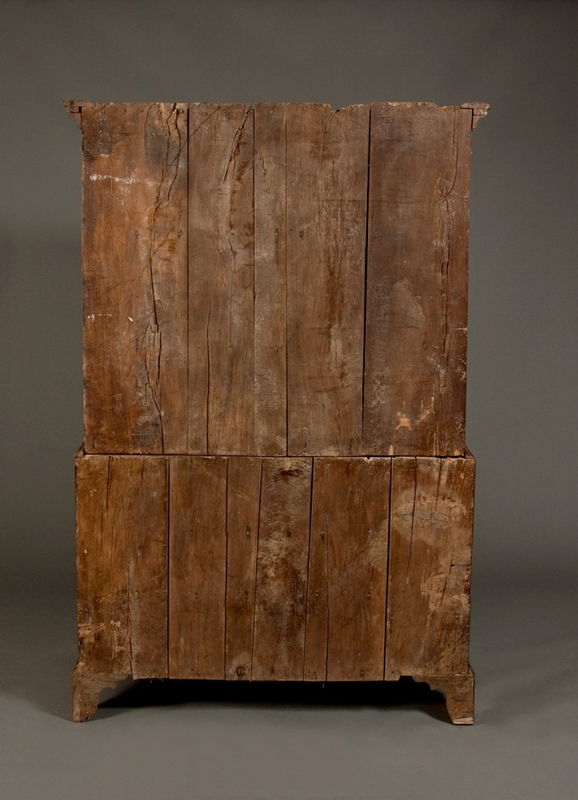 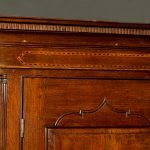 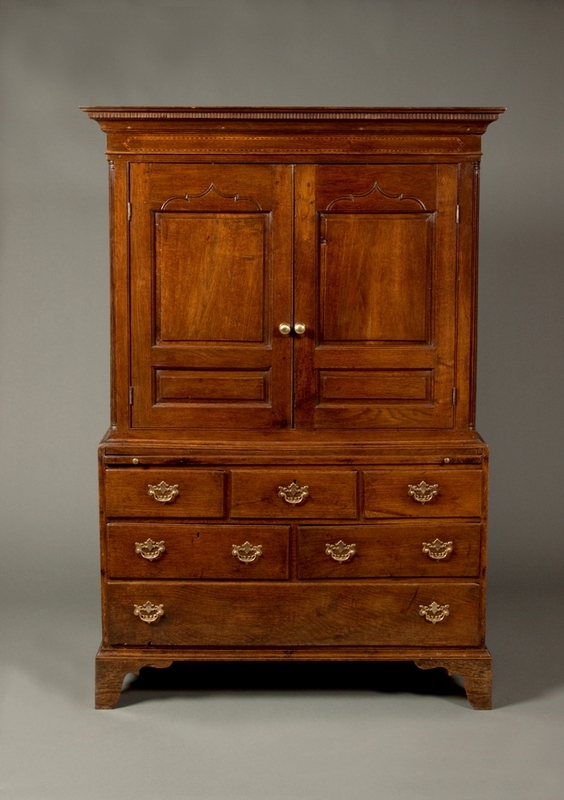 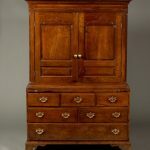 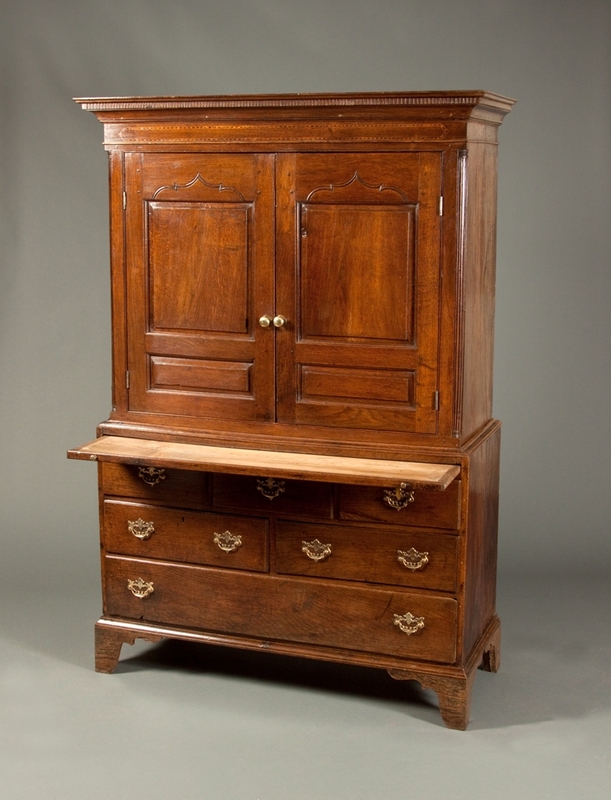 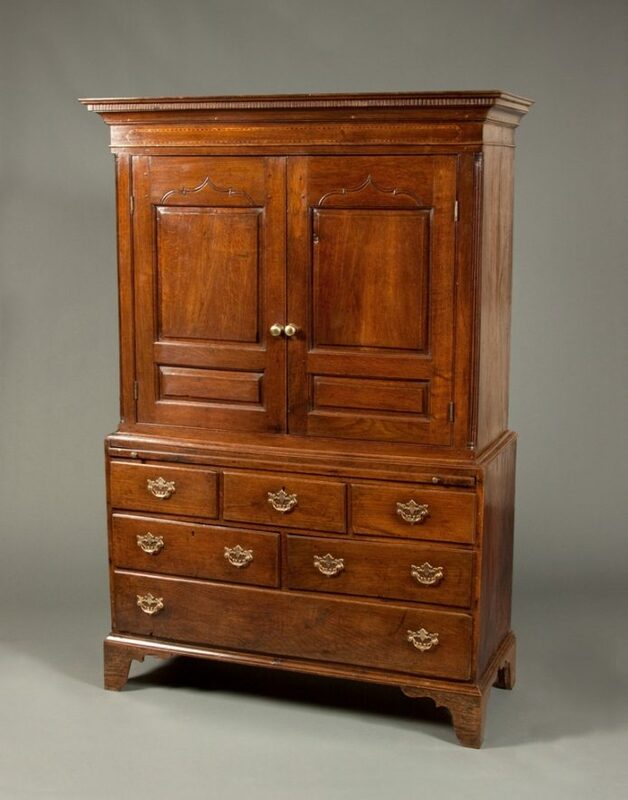 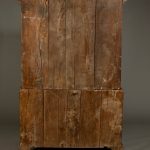 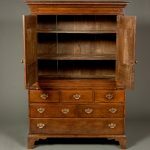 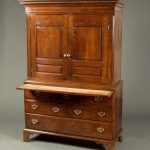 This small oak linen press has a dentil carved cornice and a holly & bogoak inlaid frieze. 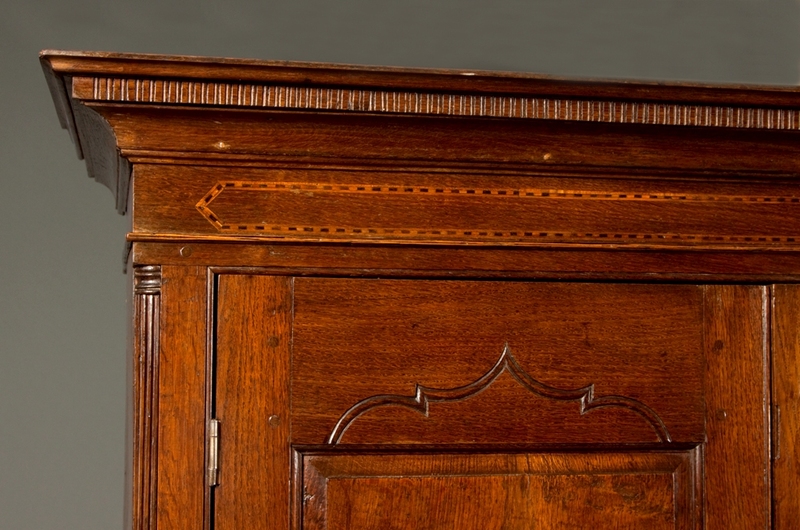 The two panelled doors have a very unusual carved gothic design and are flanked by two fluted quarter columns. 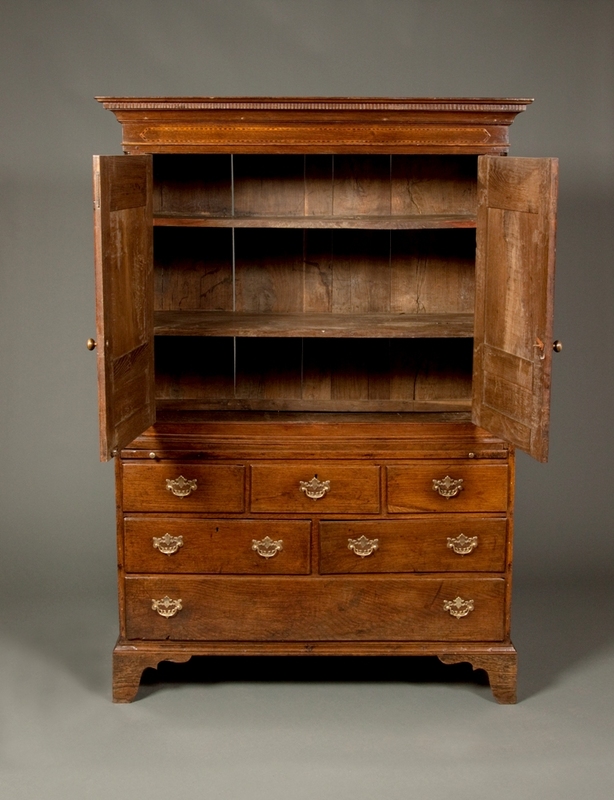 The base has a brushing slide and five drawers with later handles. 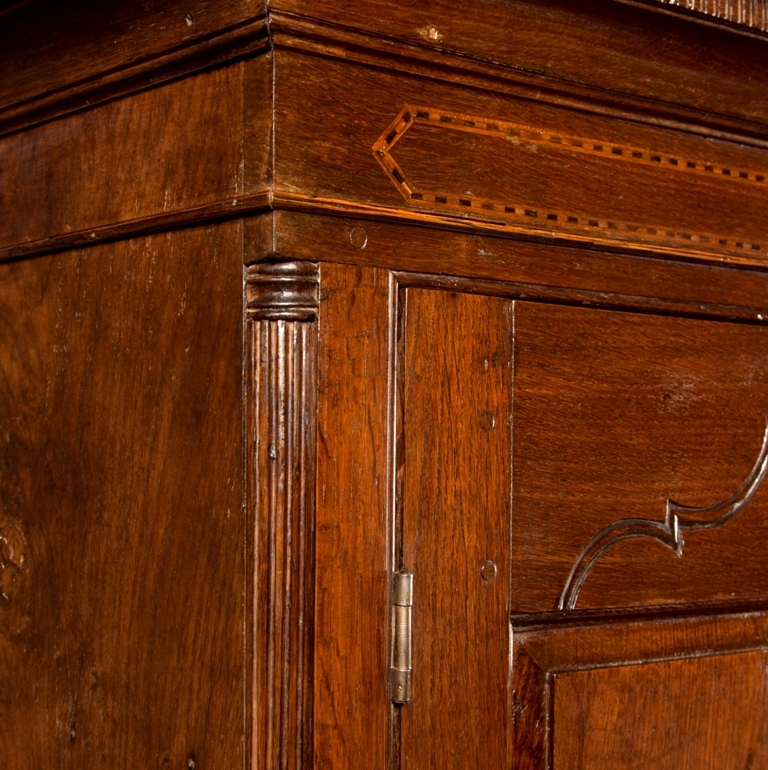 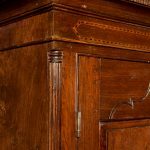 The press is made from figured oak throughout including the back boards and interior shelves, with sycamore drawer linings.